It looks like the glory days of the Nintendo Wii are coming to an end, with the Japanese gaming giant posting its first financial loss in seven years. 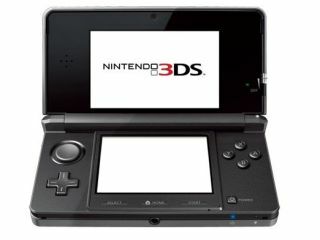 Nintendo fell into the red for the latest fiscal first half year on high yen, with the games company blaming the combination of a rising yen and delayed release of its glasses-free 3-D handheld, the 3DS. The Kyoto-based Mario factory posted a 2.01 billion yen (£15.5 million) loss for the six months through to September 2010. Nintendo announced last month that the 3DS would not be available this coming Christmas holiday season, instead releasing next February in Japan and later in March in the UK and US. Because of the delay of the new 3DS, Nintendo cut its full-year earnings forecast to 90 billion yen ($0.6 billion) profit from 200 billion yen profit, representing a 61 per cent drop in profit from the previous year. Yuta Sakurai, analyst with Nomura Securities Co. in Tokyo noted: "There were no surprises in today's results. The losses from currency are in a way just on paper." Nintendo has sold a total of 135.6 million DSes and 75.9 million Wiis worldwide to date.